Let us just get one thing straight before I even begin. Lahaul and Spiti is officially one district but it actually includes two different areas that are culturally and geographically (They don’t even have a direct bus service connecting each other). Spiti is more popular and most people who tag the location “Lahaul & Spiti”, generally visits Spiti Only. So, this post is dedicated to Lahaul and NOT Spiti. Keylong, the headquarter of Lahaul, is no stranger to the travellers who visit Leh via Manali. However, in their eagerness to reached Ladakh, most of them tend to rush through the entire Lahaul region which actually has enough to stand on its own on the tourist map. The medieval monasteries around Keylong deserve a lot of attention apart from the fecund landscapes of the Bhaga Valley. There are many other other landmarks in places like Tandi (Guru Ghantal Gompa), Sissu, and Gondhla. Epic treks like Miyar Valley and Neelkanth Mahadev are also part of Lahaul. When I first reached Keylong a few years ago, I was determined to explore its far off villages and monasteries. However, even before I did anything, I was taken aback by the irresistibly photogenic valley, its fecund slopes, loomkng peaks, and ancient gompas. Due to its clubbing with Spiti, I expected it to be another cold desert, but it looked like the garden of eden. I was aware of a monastery or two, but as I explored, more and more of them started the unravel themselves. Over the years, I have made many posts on many of these attractions in the region but I think there is a need to do a complete guide on Keylong and Lahaul. View of Keylong town from Kardang. Phone, data connectivity, and WiFi in Keylong? So, as you can see from the map, Keylong, at an altitude of around 3100 meters, is located on the banks of Bhaga river coming from the glaciers of Ladakh. This river meets Chandra River (Coming from Spiti) at Tandi, and forms the Chandrabhaga (Chenab) river, which one of the major rivers mentioned in ancient texts. It eventually flows through Udaipur and Pangi Valley and enter Punjab and Pakistan before finally merging into the great Indus. Todh Valley: Upper Lahaul, the area betwoon Keylong to Ladakh along the Bhaga River. Tinan Valley: Generally the area around Khoksar and Sissu along the Chandra River. Pattan Valley: The area between Tandi and Udaipur along the Chandrabhaga River. Drilbu Ri: The formidable mountain that also has religious significance in Buddhism. That is why devotees circumambulate it every year. This program is called Drilbu Kora. Kora means circuambulation/parikrama. It happens around September every year. Lady of Keylong: A glacier visible from the Keylong town. The Lady of Keylong from the road to Shahsur with “most probably” Bokar Gompa in the foreground. Reaching Keylong is not that hard. Manali to Keylong is only 115 KMs over the Rohtang Pass. The road bifurcates after crossing the pass and teh otehr route goes towards Kunzum La and then Spiti. Daily HRTC buses run from Kullu and Manali to Keylong. Considering the the difficult nature of the road, it takes 5-6 hours to cover this distance for the buses (Don’t trust the 3 hour 37 minutes mentioned in some content mills, I am sure they never actually took that route). During the peak season of summer, there are at least two buses to Keylong including the Leh bound bus which obviously passes through Keylong. The Leh bus leaves very early, at around 4-5 AM (check at the bus stand for exact timings). The Manali to Keylong only bus leaves later at around 8 AM and reaches by 2 PM. Also, the semi-delux bus to Leh departs at around 10 AM, reaches in the evening for a night-halt at Keylong. For all other places in Lahaul, you get buses from Keylong. Here are a few timings that you may need. The local buses generally start from Kullu than Manali. By the time they reach Manali, they tend to get full. So, I prefer to spend a night in Kullu (which is less touristy and also cheaper) and grab the window seat in the morning. It should be noted that there has been a hike in HRTC fares recently. The fare of ordinary buses has been hiked to INR 1.75 per km from INR 1.45 per km in the hills. So, find out respective distances and do the math accordingly for any place. Needless to say that semi-delux HPTDC buses are much more expensive. The ambitious Rohtang Tunnel, which is supposed to cut down the distance and duration of the Manali-Keylong trip, is more or less complete but has not yet been opened for transport. But a few months ago it was used to rescure people stuck in landslides due to extreme rains. So, we can hope that it will be operational within a year or two. Keylong town has many hotels of various rates. Most of them are located near the bus stand and along the highway leading to it. A single person can easily find a nice room for INR 500. Most of these should also include free Wi-Fi, which is a good thing to have because your own data connection is unlikely to work there. Some of the shops near the bus stand even offer a bed to sleep at night for INR 100 but you will have to make do with the bathroom at the bus stand. On the other hand, there is a luxury government peorperty called HPTDC Chadrabhaga too. Apart from Keylong, places like Sissu, and Gondhla also have many homestays while Khoksar has a PWD resthouse. If you are going towards Ladakh, there are more options in Jispa and Darcha too. On the other hand, if you are going westwards towards Pattan Valley, you will find homestays in Udaipur and Trilokinath. If you are trekking in Miyar Valley, you will find a homestay at Shukto, the last roadhead in the valley where teh bus also stops. As is the case with remote areas, Lahaul gets detached with the rest of the world during the winters (although things will change once the Rohtang tunnel becomes operational). So, the primary season is between June to September in summer. Early summers before the reaisn are better. ALso, in October, you may get niceautum colours as the poplars and willows turn golden. There are several medieval gompas that are located very near to Keylong. You need to complete small day-treks to reach most of them although some of them are now also connected via motorable roads. They are several centuries old, although many of the buildings have now been renovated. As they are located at a higher elevation, they offer excellent views of the Keylong town, the Bhaga valley and the mountains beyond. Check this map for the directions. Shashur Monastery: It is a 17th century when it was established by Lama Deva Gyatso of Zanskar. Around 5 KMs from Keylong town but there is a motorable road to it. However, I managed to hike the whole distance and the views were excellent. Read full details of Shahsur Trek here. Kardang Monastery: It was originally built in the 12th Century but has been destroyed and rebuilt many times. You cna drive via Tandi or hike driectly from Keylong by crossing a small footbridge over the Bhaga. Also Read the Kardang Trek post. Yardong Monastery: It is a small monastery of uncertain vintage. It is a few KMs before of Keylong, The short hike starts from the old bus stand outside the town. Also read the Yardong Post. Bokar Monastery: It is believed to be one of the oldest gompas in Lahaul. It is around 2 KMs ahead of Keylong. Somehow I never managed to visit this one. Tayul Monastery: Tayul is a Drukpa Monastery that dates back to at least 17th century or it may be even older although the present monastery building seemed renovated. It is around 5 KMs from Keylong followed by a 2 KM hike. Also Read: The unexpected picnic at Tayul Gompa. Ghemur Monastery: Ghemur Gompa is located in Gemur village, which is around 20 Kms from Keylong, and a few Kms before Jispa. A short hike from the highway will take you to your destination. Somehow I never managed to stop here either. Tupchiling and Guru Ghantal: Tupchiling is located near Tandi. From here, you need to take teh key for Guru Ghantal, which is a steep and difficult hike. Guru Ghantal or Gandhola has many mythical stories associated with it and it takes you closer to Drilbu Ri. I made an attempt once but the trail was so dangerous and slippery that I had to give up midway. Tandi is the confluence of Chandra and Bhaga, where Chadrabhaga is formed. The Tupchiling Gompa is locate dhere and the motorable road to Kardang as well as trek to Guru Ghantal starts from here. Tandi also has a petrol pump which serves Keylong too. The Lahaul and Spiti Tribal Museum, located in the middle of Keylong Town, is a good way to get acquainted with the history and culture of Lahaul. You can see their attires, insturments, crops and herbs, along with maps and old photographs to have a good idea about the place and the people and it should be a good starting point for the reason. Trilokinath is a major temple in the Udaipur subdivision of Lahaul. Interestingly, it is equally revered by the Hindus as well as the Buddhists. The original stone temple is believed to be at least a thousand years old. It is around 45 Kms from Keylong and well connected with regular buses. Udaipur is a small town at the western border of Lahaul. This area leading up to this is also known as Pattan Valley, and is known for disntinctive agricultural tracts on the fertile slopes on the banks of Chandrabhaga. The primary attraction in town is the Mrikula Devi Temple, another ancient shrine in the region. It is a wooden temple with a lot of intricate carvings telling stories form the epics. Miyar Valley is a short detour from Udaipur. However, it is a completely different world with its unique landscapes and geography. Due to its unique location, it offers the feeling of being both in Himachal and Ladakh. Initially, you come accross a series of villages in the valley but eventually the habitaion ends and it opens up to a barren, vast, high altitude valley, with the Zanskar range looming large in the horizon. If you keep going, you will eventually reach Zanskar. But it is a serious trek and needs to be done with experienced guides. Neelkanth Mahadev is a high altitude lake located in one of the remotest regions of Lahaul. Locla pilgrims trek to it in the monsoon seasons and it takes several days to reach. This should be tried only with trained guides and proper preparations. I hope I will do it next year. It is a small village not far from Keylong. It is a goodlooking spot on the banks of Chandra river, complete with waterfalls, a lake, and a nice stretch of poplar wood, that turns golden in the autumn. It is known for the temple of Raja Ghepan, the most prominet deity of Lahaul. Gondhla is village around 18 Kms away from Keylong. It is primarily known for a large wooden tower, generally called Gondhla Fort. It was built by a local nobleman to protect his territory and is believed to be at least 300 years old. Jispa and Darcha are small settlements that you come accross once you leave Keylong and move towards Ladakh. There are stay options in both these places and you can also explore some local hikes. There is also a trekking route from Darcha to Zanskar where a motorable road is being constructed and should open by next year. Generally most major SIM cards work in Lahaul if you want to make calls. However, data connectivity is unlikely and even if it is available, it will be extremely slow. However, the good news is that many budget hotels in Keylong town will give you decent free Wi-Fi in those INR 500 rooms. Outside Keylong, network is even weaker although it should work at Udaipur. Alcohol is easily availabe in Himachal and Lahaul is not an exception. In fact, there is a alcohol shop very near to the bus stand. However, if you want traditional liquor, you will probably have to befriend some locals. Beautiful photos and great information. Thanks for sharing Jitaditya. Thanks for the sharing information. Awesome description, Jitaditya ji ! Surely a great travel article about our valley – Lahaul Valley.And THANK YOU..Please don’t take it otherwise for pointing two factual error as exploring a valley in an area of around 9000 sq km & then writing about it is in itself daunting.Source of both Chandra & Bhaga is in Lahaul valley itself i.
e Suraj taal and Chandrabhaga enters Kishtwar in JK not in Punjab. It is one of the regrets that I have – that I did not drive to Leh from Manali and instead took a direct flight from Delhi. While that was definitely the quickest way to get there, it wasn’t half as gorgeous as the road trip would’ve been. 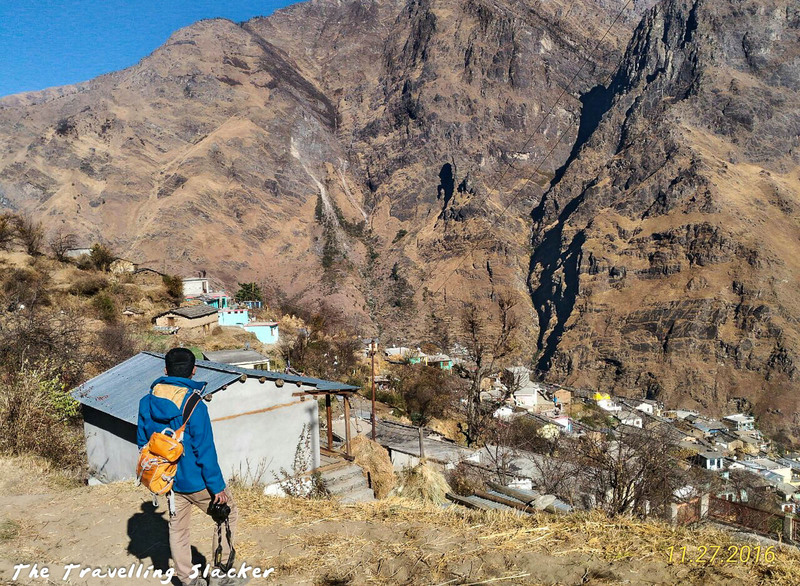 Lahaul looks beautiful, the landscapes are absolutely breathtaking and I am glad to have come across this article because I now know that one needs to spend some time at Lahaul rather than skip it altogether. Not only are the monasteries really nice, the lakes and the hikes are beautiful too. I need to plan a road trip from Manali to Leh soon! I had no idea about Spiti or Lahaul! I can see why you would be captivated by the photogenic valley in Keylong. But then at 3100 meters I am sure you can see for miles around. Good to know you can go by bus. Even if it is a long drive! But then you can stay the night and see more. It looks like there are lots of things to do if we ever visit. Interesting read on a place I’m totally unfamiliar with. The photos are gorgeous. My favorite is the teal house at Fertile Pattan Valley…that is fabulous! I would definitely need a tour guide for this part of the world…I’d be totally lost from the get go. It’s so great to read about places that are off-the-beaten path. I can see why you have decided to explore more of Keylong. It is truly photogenic and worthy of a name like the ‘garden of eden’. Good to know that other route between Manali and Keylong is available like the Rohtang Tunnel. Looking forward to reading that it is already operational. Jitaditya, You are so right about Keylong. Even during our first visit we thought it is just a night halt place but the valley is extremely beautiful and has much to offer. The landscapes are truly irresistible and it is the garden of Eden. Going to use your this guide while travelling next time. Thanks for compiling it up. I definitely know when we visit out your way this upcoming year, we’re definitely going to be messaging you for advice on where to go and what to see. Love all of these places I’ve never heard of before and with such thorough descriptions! I’m a huge cauliflower fan, so to be able to see that would already be amazing.